Last updated 28 November 2018 . By Anisah Audu. It’s not every day that I dine in a restaurant that holds multiple awards and a Michelin Bib Gourmand, so when I do, you'd better know I’m coming hungry. As a fan of sultry cocktail den Eve, I’d been wanting to visit Adam Handling’s latest outpost for some time and took fellow DMNer Olivia along for the ride. With a refined tasting menu (£60 per person) on the cards, The Frog was a far cry from the weekend brunches that we’re used to. Showcasing the best of British - from the decor to the kitchen. Recently relocated from Shoreditch to Hoxton, The Frog is housed in a multifaceted building, boasting two postcodes and separate entrances. An intriguing maze with graffiti-covered walls and quirky artwork, the restaurant connects with basement bar, Iron Stag, and coffee shop-come-beer store, Bean & Wheat, all under one roof. We cleansed our palates with a tangy Bloody Mary (£9.50) and the whiskey, gin and red pepper-infused 6th Sencha (£10), before a leading onto a wine pairing (£50 per person). If it’s beer you’re after, then a special pairing can be selected from Bean & Wheat next door. With an open-plan kitchen, every seat in the restaurant gives a great view of chefs working their magic. 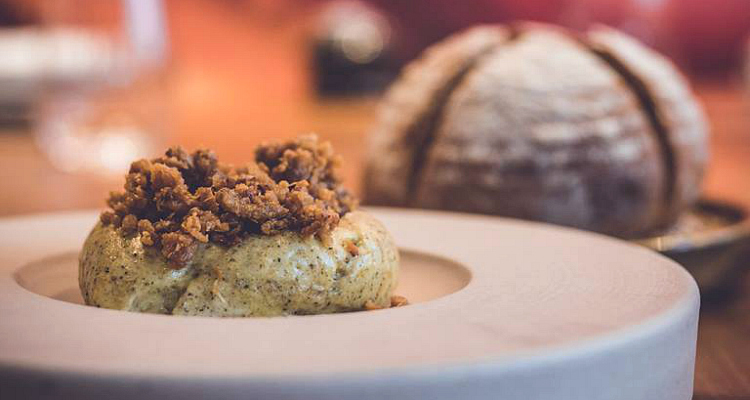 Bread and butter is not as you know it; butter is filled with a saucy stock and loaded with crispy chicken skin, creating a wondrous umami taste. Celeriac came topped with apple, dates and summer truffle, all resting on an oozy, squidgy yolk. Paired with a glass of rosé, it was inhaled in no time. We couldn’t resist the signature cheese doughnuts (£3); they didn’t stand a chance either. Think you know bread and butter? Think again. From BBQ heritage carrot to Creedy Carver duck and smoked cod roe, each dish manages to impress and dessert is no exception. A trio of impressive puddings arrived, each paired with a matching wine (think Chenin Blanc, Riesling and Frizzante). Served with the added pizzazz of dry ice, the white chocolate with dill and cucumber was a refreshing departure from the sweet stuff I usually go for. 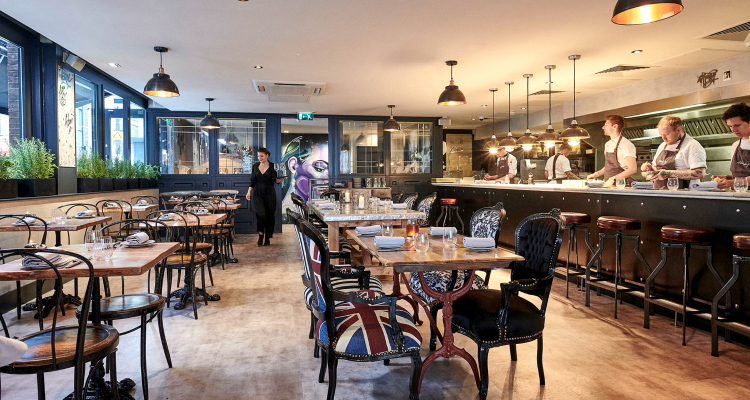 With bold interiors, loud music and an ambitious menu, you might think that The Frog is style over substance, but there’s a reason Handling’s Hoxton site has retained the coveted Michelin award that it snagged before the big move. The creative menu showcases unique flavours; from cocktails through to desserts and you’re going to want a taste.